After a few minutes of searching my fridge, I soon realize that I had a disproportionate amount of Brussels sprouts. So in an attempt to consume them before they perish, I put together a quick and simple dish, recipe courtesy of Naturally Ella. They are absolutely delicious and are better eaten straight from the skillet! I must say, Reality didn’t venture far out from Expectations! Mmmm. This is a must make! 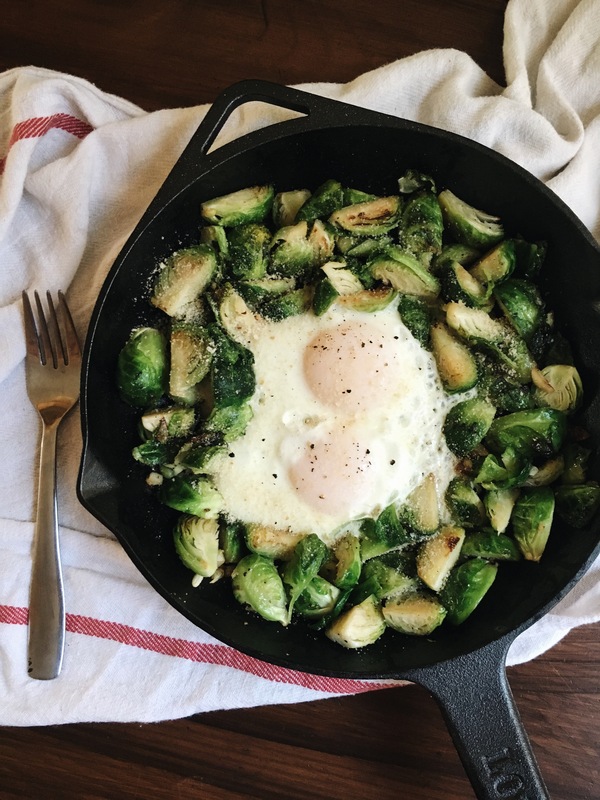 I have never thought to pair Brussels sprouts with eggs. I’m excited to try this! Please do! It’s simple and delicious!